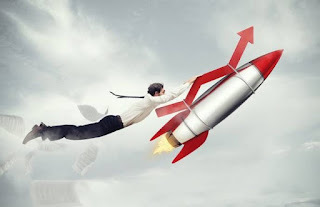 In this post am going to show you some workable ways to skyrocket your website traffic than usual in just 4-step by step guide. And also how successful influencers used it to generate tons of monthly traffic to their blog every month. The fact is that getting tons of traffic doesn’t pop up overnight. It takes effort over a sustained period of time satisfying your target audience. Also it's true that when you write high quality content, it's going to generate tons of traffic and genuine backlink to your website but you have to be consistent because that's really the key to blogging success. According to research, it has shown that 70% of blog get fewer than 5,000 visitors per month, that means less than 200 views per day but you can skyrocket yours my adding more effort and being more consistence. Why do some companies show up on page one of Google, while others are buried pages deep? What are the tricks and tips that propel they web page to the top of the search engines? that is because their put more effort in producing the right content for their target audience at the right time. I have pen down a guide for new buyers journey to help you understanding how they make decisions and also a way you can implement it in your content writing. If you truly want to see changes in your website traffic, you need to write high quality content and right kind of content for your target audience. In other words, your ultimate focus is to create useful content that people will read, feel excited about and willingly share with others on social media. Many frelancers and marketers like Neil Petal the co-founder of Crazy egg generates tons of traffic to their blogs because they understood their customers and produce the rightful content that answers every bite of they questions. Often times, you don’t need to come up with a completely new topic. All you have to do is look for a hook or a creative idea that lets you bridge the gap between your “big idea” (or your main message) and “what people already know.” in other to make the content right and awesome. Tip: Publishing content that appeals to your target customer isn’t enough. You need to learn how to publish the right content that your influencers want to share with their audience. Most of the content produced today isn't really optimize for more traffic, marketers forget the fact content isn't the king anymore but familiarity due. Optimizing your content for more traffic is now more than the art but the science of producing your content to work for your customers by leaving them better than you find them rather than them working for your content. It's all about building familiarity, relationship and trust with your customers to keep them engaged always. Content promotion is very important in getting website traffic and lead. the truth is that writing awesome content without getting it to the right users that needs it leads to failure in marketing campaign. invite people to consume your product or services by sharing it on social network. Social networks such as Facebook, Twitter, LinkedIn, Google+ and other interesting social networks that you find your customers spending much time using. Join groups and forums to help people solve their burning question because that is another way of attracting more customers to your website and also make more sales. Thorough research is needed to find long tail keyword that will generate tons of traffic to your website and convert search users into lead that's why long tail keyword is not just about writing on keywords users search for but also thank you for. Long-tail keywords are longer and more specific keyword phrases that visitors are more likely to use when they’re closer to a point-of-purchase or when they're using voice search that solve they needs, answer they burning questions ans leave them better and happier. The modern content marketing approach has changed compare to old ways of marketing where keyword stuffing is the game in action. The new SEO in keyword research is to first identify the needs of your audience. Next, you find the exact keywords they’re using to search for information that will help meet their needs and answer their questions. Then, you write and deliver a powerful blog article that is on-point. 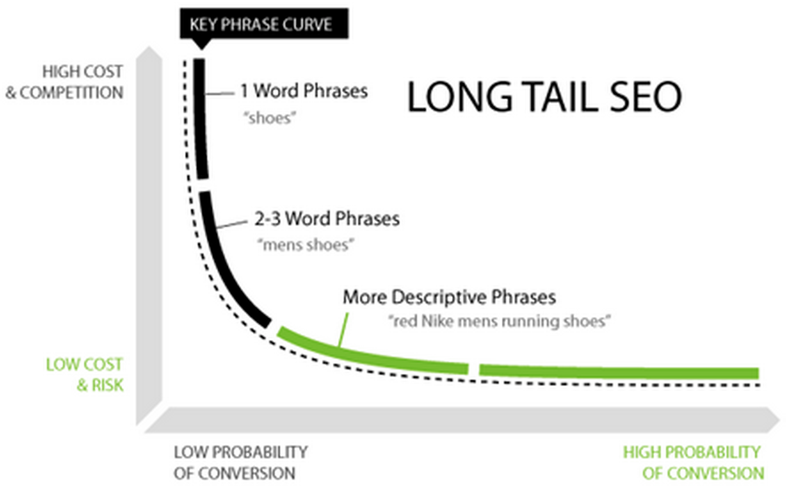 Long-tail keywords reveal the intersection between what potential customers are typing into the search engine vs. what they really want. When you have what they really want, you will get the click through numbers you want. You can research your topic on social networking sites (e.g., LinkedIn, Twitter, Facebook), which will also help you find an approach that’s likely to engage readers through various search engine and social media results. #First: Use one of your favority tools like Google keyword planner but let's talk on Google Trends that even tell you what people are searching for even at the moment. Related search and the percentage of how people search it. Related search queries and the percentage of how people also search it. #Third: Look for the most relevant in-demand keywords. Make sure that the keyword you selected is relevant, because you’ll be expanding on it for longer variations. Well writing for popular magazines like Forbs,WebMB,Inc can be a lot helpful and rewarding when you pitch them with a good topic ideas. Well Neil Patel talked about this in in-depth in one of his article on how to get noticed on magazine where he gave contribution on that which is also here. If you’re a business entrepreneur, getting published on Entrepreneur - Start, run and grow your business. might generate a more targeted audience to your blog, since it’s relevant to business. A general interest newspaper or magazine site wouldn’t be a good fit for you. Moreover, online readership for most magazines has surpassed the offline readership. Forbes digital audience surpassed 68 million in 2015, as compared to only 6.3 million print (offline) audience members. Lots of magazines out there have built a loyal target audience. They want to be at the top of their games. You can capitalize on this ready-made audience and direct many of those dedicated readers to your own site, while simultaneously building your own authority in the process. In other words, your ultimate focus is to create useful content that people will read, feel excited about and willingly share with others on social media. 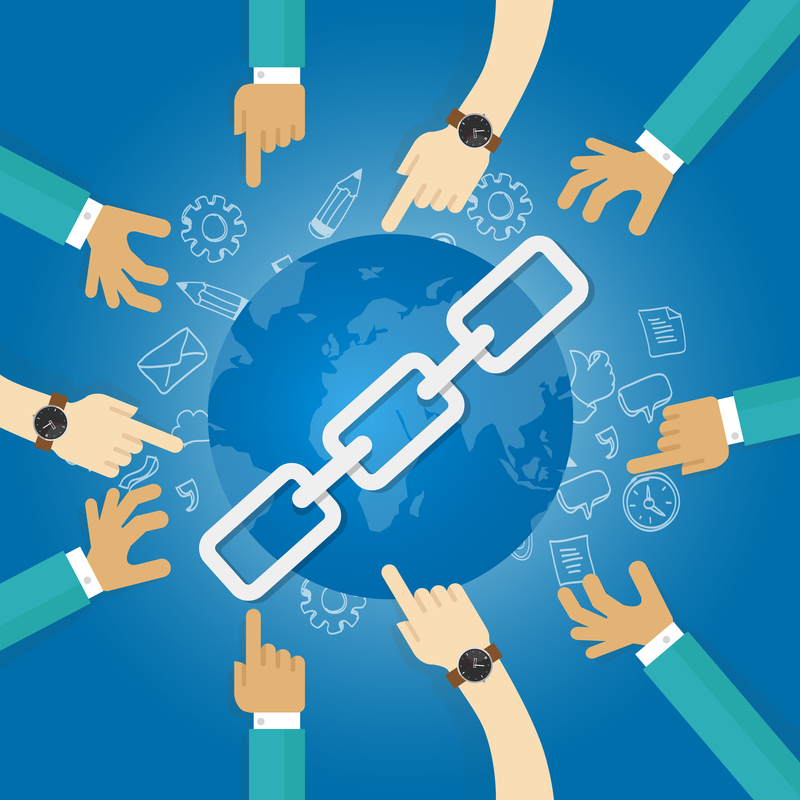 Backlinks are incoming link from a web page to another web page, A backlink for a given web resource is a link from some other website to that web resource. A web resource may be a website, web page, or web directory. A backlink is a reference comparable to a citation, it increases website traffic and show to Google Algorithm that you content is awesome and worth ranking in Search Engine Result Page SERP. A page with a lot of backlinks tended to rank higher on all major search engines, including Google. This is still true to a large extent in a way that Google don't count much on backlinks that are not genuine. I forgot to mention that I recently released a post that I shared my 10 Actionable SEO Techniques that'll Double your site Traffic so you can check it out. Produce the right content if you truly want to see changes in your website, you need to create the right kind of content for your target audience. Content that generates traffic, leads and (most importantly) sales. 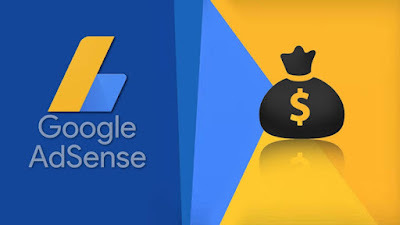 Content that gets you traffic from Google. Content that establishes YOU as an expert (and someone people want to buy from). In other words, rock solid content that you can build a business on top of.